Our Harvest Thanksgiving 2018 display erected by John Ervine and his team. Our Harvest Thanksgiving services are Sunday 7th October at 11.30am with Rev Kenny Hanna and 7.00pm with Rev Dr John Dixon. 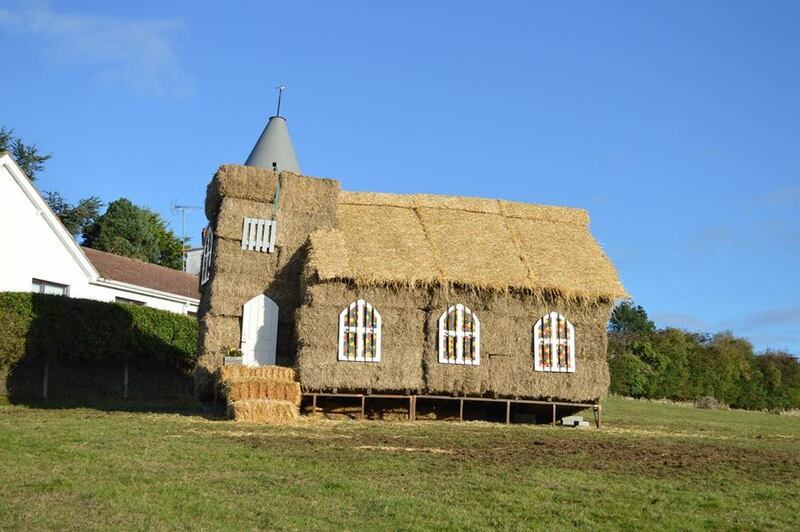 You are welcome to visit our church displays on Sunday 7th Oct between 3.00pm and 6.00pm. There will be tea and apple tart in the church hall. We are not open to the public on Saturday afternoon this year as the New Irish Youth Choir will be setting up for our Harvest Praise Night which is on Sat 6th October at 7.30pm. Everyone is welcome to all or any of these events. Congratulations and every blessing to our two new elders, Mr Lindsay Gracey and Mr David Hanna. 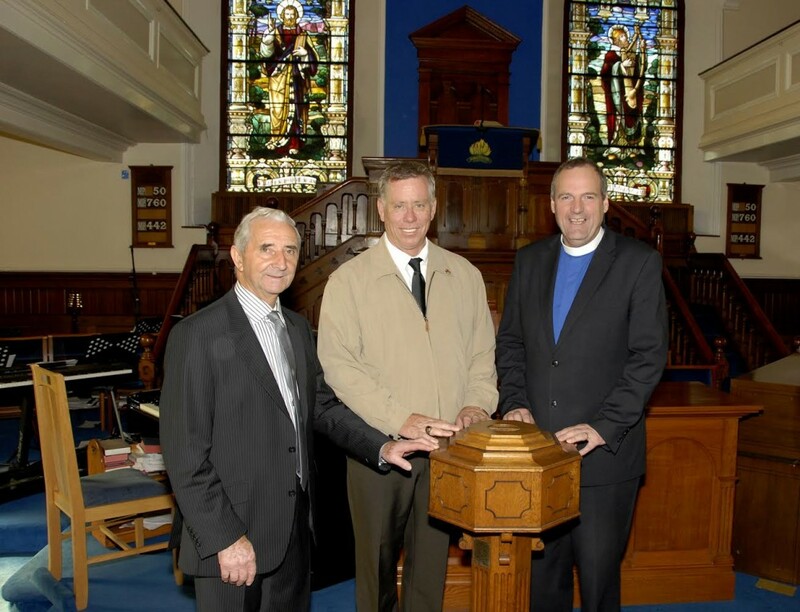 Robert Morrow from San Diego, California USA, paid a special visit to First Rathfriland Presbyterian Church, where his forefathers worshiped over 100 years ago. His great grand uncle, Thomas Rowan Morrow, was baptised in Church on 21st July 1881 and was the only Third Class passenger from Ulster to perish on board Titanic. Rev. 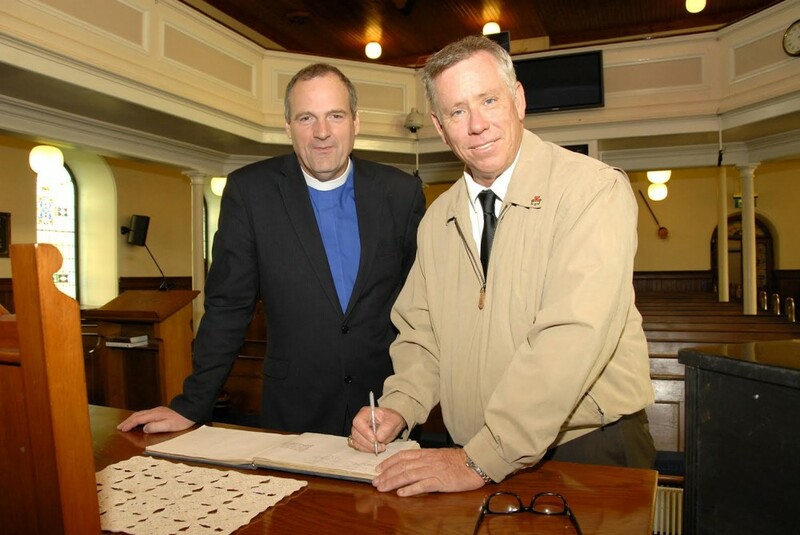 Trevor Boyd (Minister of First Rathfriland Presbyterian Church) looks on as Robert Morrow (great grand nephew of the late Thomas Rowan Morrow) signs the visitors book at First Rathfriland Presbyterian Church. 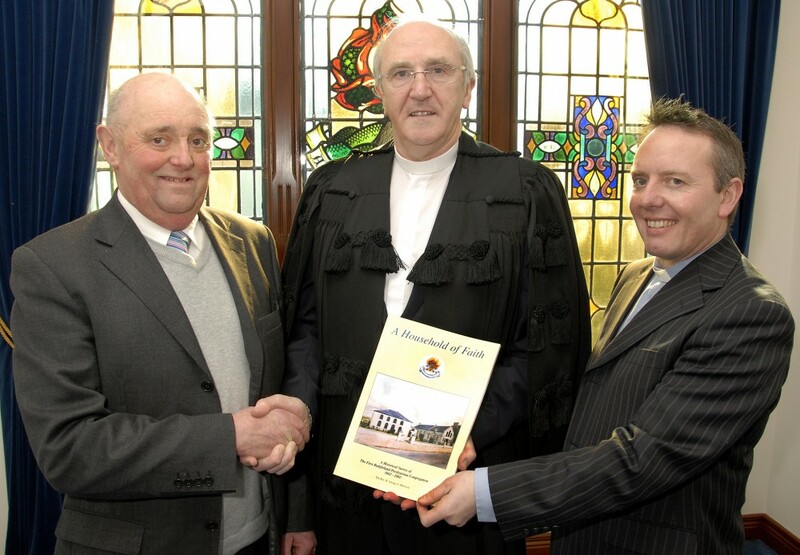 David McDowell (Clerk of Session), Robert Morrow (great grand nephew of the late Thomas Rowan Morrow) and Rev. 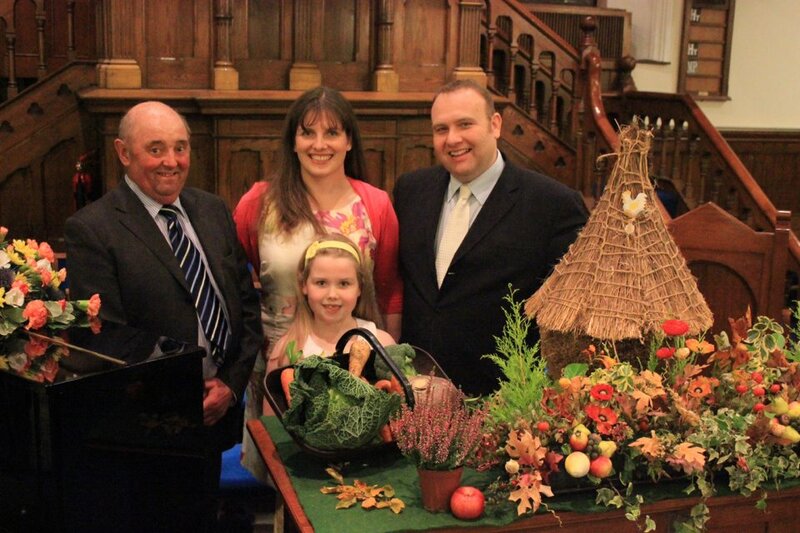 Trevor Boyd (Minister of First Rathfriland Presbyterian Church). offering to help to make the night such a success. We have just celebrated 350 years of Christian witness in our Church. We have been handed down a rich heritage. The torch is now in our hands to carry forward the work of the Gospel of our Lord and Saviour, Jesus Christ. I ask you to encourage the Rev Boyd and his wife Barbara, sons Andrew & Brian and daughter Bethany in the little things of life but most importantly by your presence for working in the House of God, week by week. 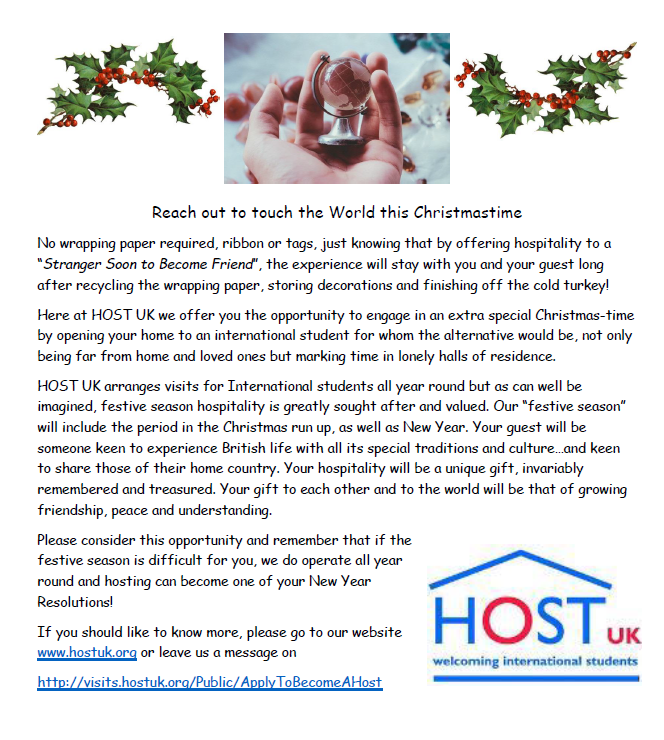 A big task lies ahead to see lives changed and new commitments made to live closer to our God. Please do bring the needs of this congregation to the Lord in prayer. 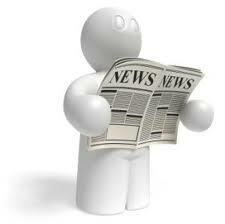 We have only got one life to live, one chance - waste it or make it count - ask big, expect much. 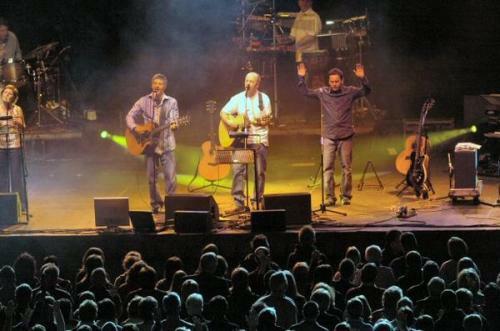 Robin Mark to conclude Church’s 350th Anniversary Year in Concert. Internationally renowned Northern Irish Christian singer, songwriter and worship leader, Robin Mark, is to perform in a special evening of praise in Rathfriland High School on Saturday 1st December. 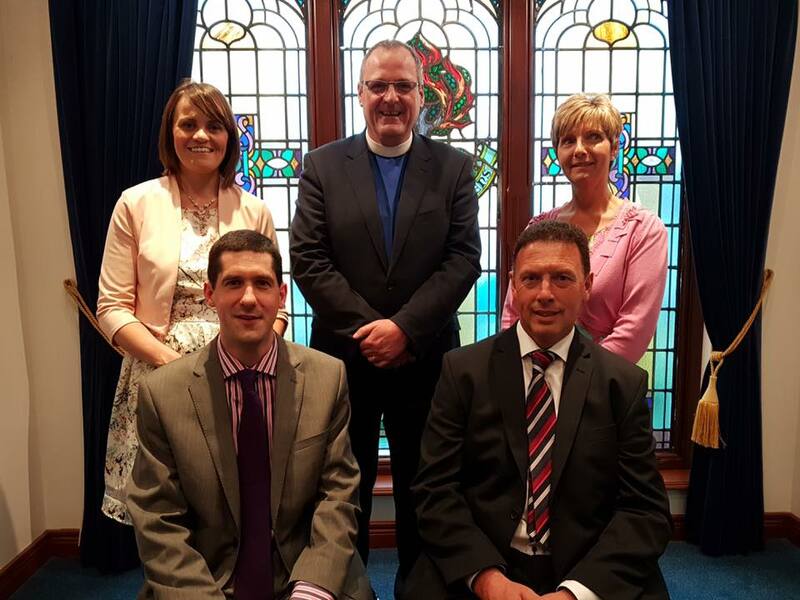 The concert has been organised to conclude a special year in the life of First Rathfriland Presbyterian Church in this their 350th year. Robin Mark is a well-known Christian singer, songwriter, worship leader, and recording artist based in Belfast. He has written several songs sung throughout the world. He is best known for his songs "Days of Elijah", "Revival", "All for Jesus", "The Wonder of The Cross", "Not by Might" and many more. He has released thirteen albums in total with sales of over two million worldwide and has won the GMA's international award. We enjoyed hearing from our former minister Rev. Mark Neilly at our Evening Harvest Thanksgiving service. His wife Hazel and daughter Rebekah also made the trip down from Buckna. 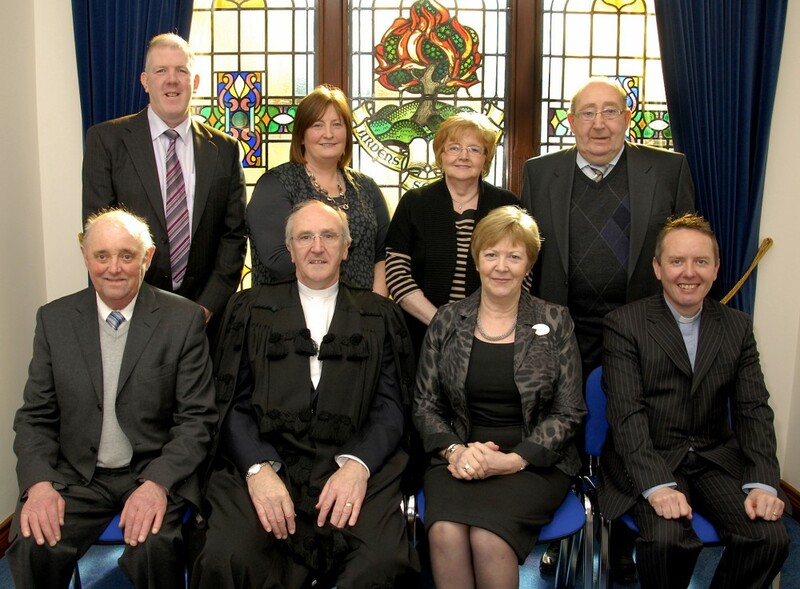 They are pictured here with our Clerk of Session John McConnell. Many thanks to those who decorated the Church so beautifully for our special services. 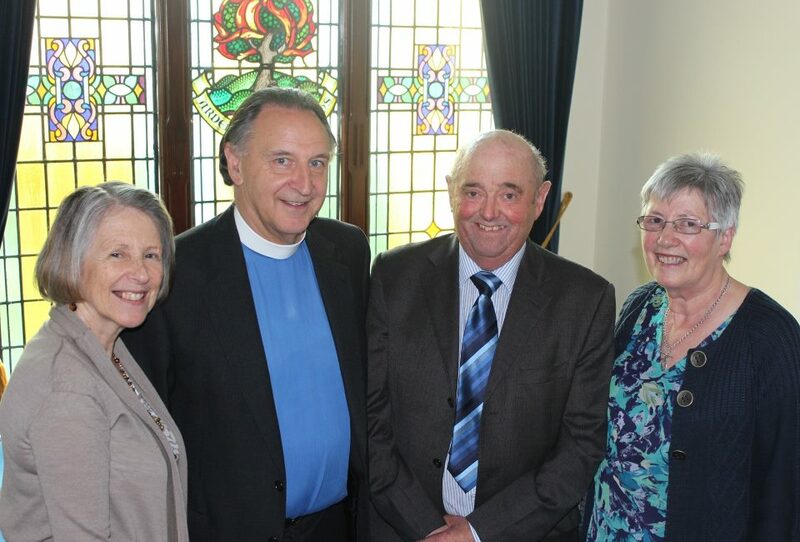 We were blessed to welcome back the Very Rev Dr John Dixon and his wife, Claire to First Rathfriland this morning. The Dixons got an opportunity to chat with old friends over tea in the hall and posed with our Clerk of Session John McConnell and his wife, Joyce after the service. Lord Bannside provided many of the Bibles that were on display and brought along with him a Bible used by a Pastor on board Titanic. The Bible was saved at the time of the disaster and is now in Lord Bannside's possession. Lord Bannside and his wife Baroness Paisley of St George's, is pictured signing the visitors book before leaving. 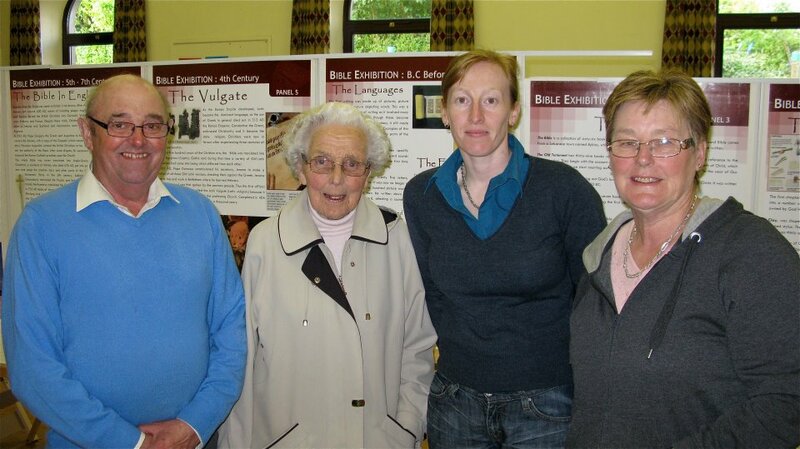 Enjoying the exhibition was, John McConnell (Clerk of Session), Mrs M. Trimble, Jill Cromie and Ann Cromie. Mr John McConnell. 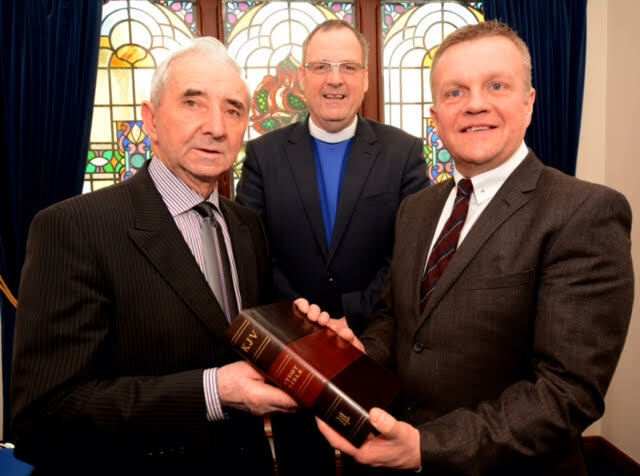 Clerk of Session of 1st Rathfriland Presbyterian Church, makes a presentation of a book to Reverend Dr. Ivan Patterson, Moderator of the Presbyterian Church in Ireland, entitled 'A Household of Faith' written by former Church Minister the Reverend George Morrison. The book which researches the history of 1st Rathfriland Presbyterian Church, currently celebrating its 350th Anniversary. Looking on is the Reverend Raymond McKibben, Church Convenor and Minister of Glascar and Donaghmore Presbyterian Churches. Photo: Gary Gardiner. 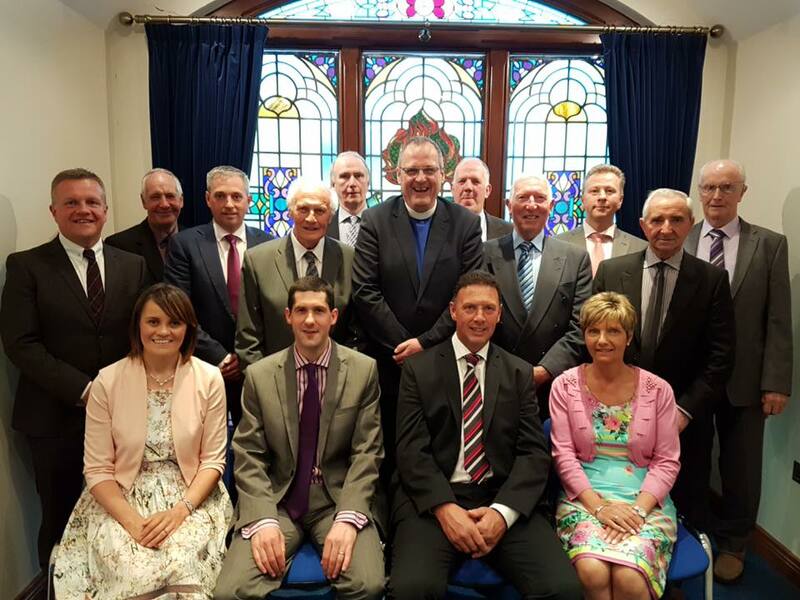 Attending the Sunday Morning Service, celebrating the 350th Anniversary of 1st Rathfriland Presbyterian Church were from front row left, Mr John McConnell, Clerk of Session, Reverend Dr. Ivan Patterson, Guest Speaker and Moderator of the Presbyterian Church in Ireland, accompanied by his wife Mrs Maureen Patterson and the Reverend Raymond McKibben, Church Convenor and Minister of Glascar and Donaghmore Presbyterian Churches. Back row from left, Mr Murray Annett, Church Secretary accompanied by his wife Mrs Anne Annett and Mr Samuel McDowell, Church Treasurer, accompanied by his wife Mrs Anna McDowell. Photo: Gary Gardiner. 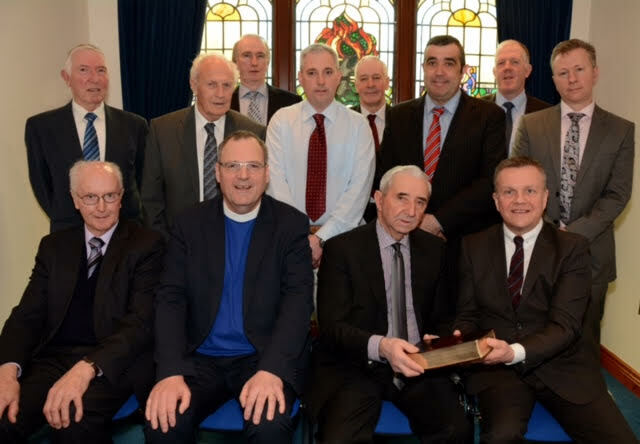 Mr John McConnell, Clerk of Session, 1st Rathfriland Presbyterian Church, makes a presentation of a book to former Minister the Reverend Alistair Smyth (1988-1996), entitled 'A Household of Faith', written by former Minister the Reverend George Morrison. 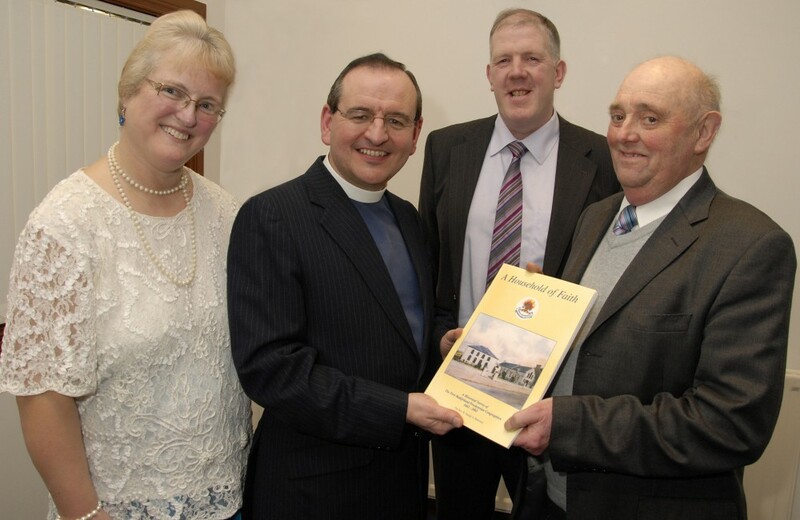 The book which researches the history of 1st Rathfriland Presbyterian Church, currently celebrating its 350th Anniversary. 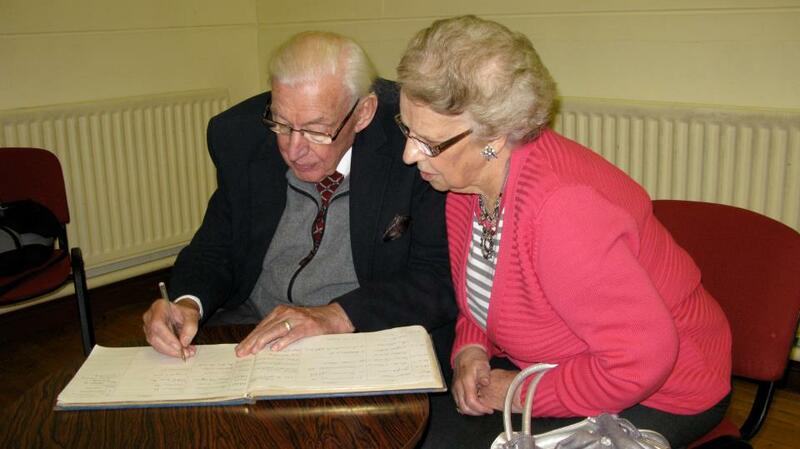 Looking on are Mrs Lesley Smyth and Mr Murray Annett, Church Secretary. Photo: Gary Gardiner.